A wedding is the most important moment of your life. You want everything to be perfect, so that you not only do have the wedding you envisaged, but also create beautiful memories that last a lifetime. Unfortunately, weddings aren’t cheap: they’ll burn a hole in your pocket. Wedding are pretty expensive to organize and that is why you should look for ways and means to trim your wedding budget. One way to save money is to try some budget wedding decorations. 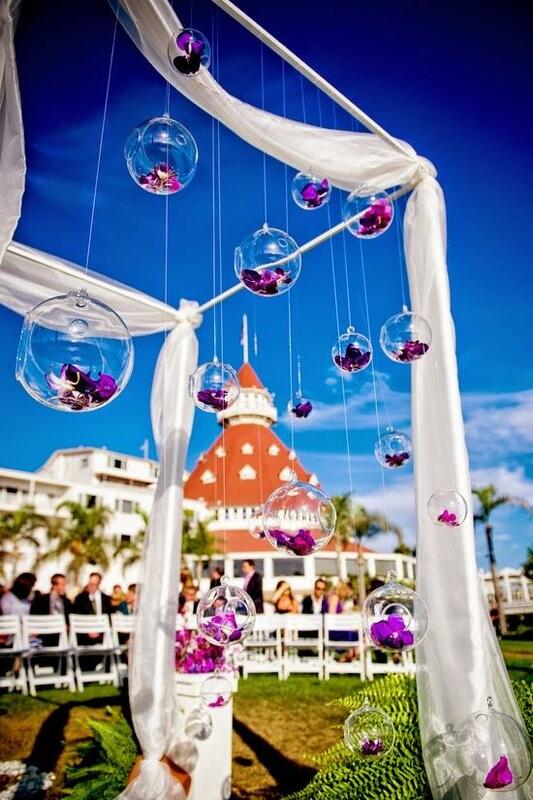 These decorations will not compromise the beauty and delight of the wedding, but will surely help save you money. Here are five great ideas for budget wedding decorations that will help you have a unique and innovative wedding and also make you feel happy that you were able to slash your expenses. When you host a wedding, you will have guests seated at different tables during the reception. Each table would require a centerpiece. 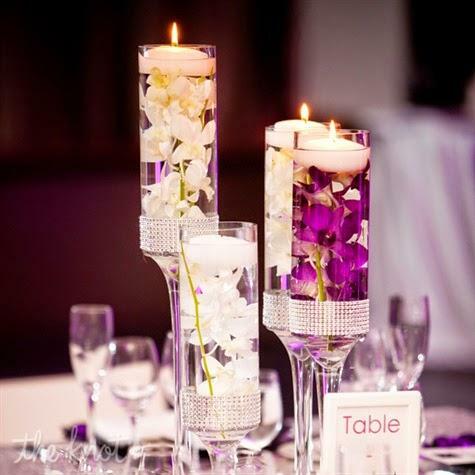 Rather than spending tons of money on a centerpiece, you can opt for floating candle centerpieces. You can do them yourself. Buy glass containers and tea candles. Fill the container with water. Add rose petals or any other flower petals and then float the candles in the container. Make sure the size of the glass container is appropriate for the table. This will look elegant and romantic without costing too much. There is something special about a chocolate fountain. You have the option of placing a chocolate fountain as the centerpiece on each table or having one large one near the buffet table. Make sure you have accompaniments for the chocolate fountain. These can include strawberries, bite-size banana pieces, pound cake and dried apricots. Also, ensure there are skewers, napkins and plates for guests to use. 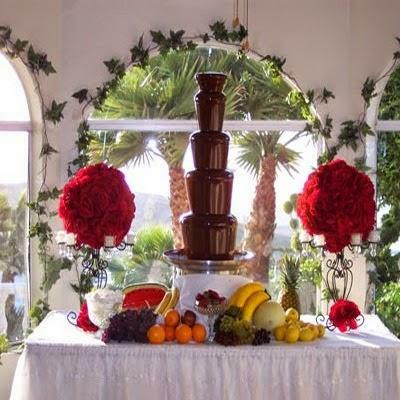 A chocolate fountain is relatively inexpensive and can make a unique wedding decoration. With the cold outside, you can usher in a piece of spring and summer by decorating your wedding venue with hanging terrarium globes. The beautiful flash of the glass and the lush greenery within will surely fill your heart with joy. Remember, green symbolizes fertility, wealth and goodness - and so is considered the perfect choice for weddings. Fill the globes with flowers and tiny plans and use colorful ribbons to hang them up. When the light catches these globes, they will look beautiful and enthralling. If you want to add to the mystique, hang the terrarium globes with a thin, translucent fishing line. This will make it appear as though the globes are floating in the air. 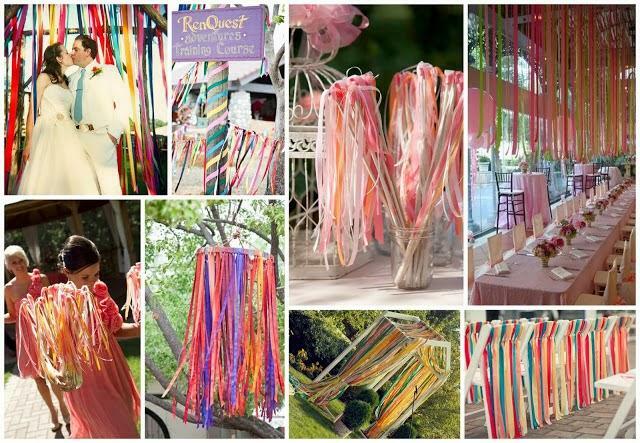 Nothing spells romance more than colorful ribbons. You can decorate the chairs with ribbons rather than opting for expensive seat covers. Tie wide ribbons to the backrest of the chairs and wrap the armrest with a contrasting ribbon. Make sure the colors you choose blend seamlessly with the rest of the wedding decorations. You can even string up curly ribbons from fixtures. Here you can use silver and gold ribbons if they are part of your wedding decoration’s color scheme. An ice sculpture is not just for the rich and famous to hold oysters and caviar! 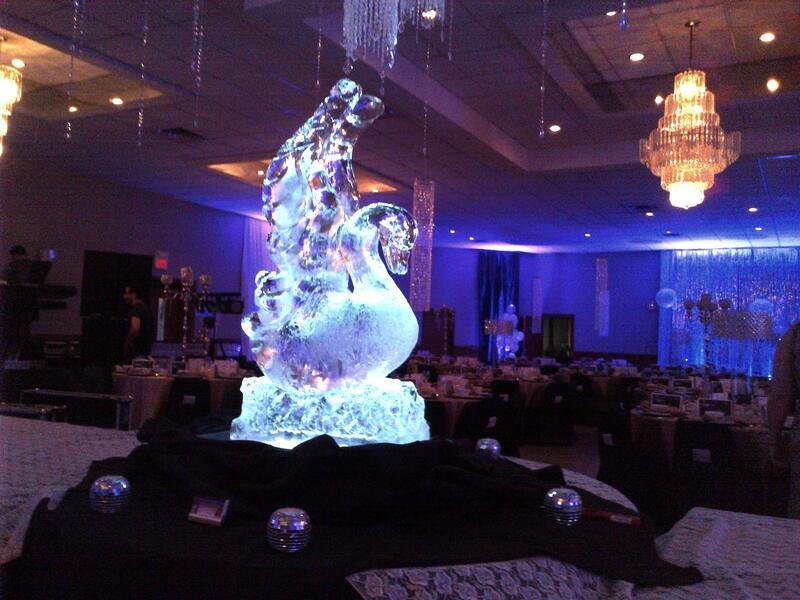 You too can include an ice sculpture as a part of your wedding decorations. It will look unique and also be extremely eye-catching. Think about having an ice luge to pour shots into champagne glasses or two hearts carved out of ice. You can go a step ahead and let the carved hearts in the sculpture hold photographs of the bride and groom. If you want something different and special, opt for an abstract ice sculpture. The items that have to be served cold for the wedding buffet can be placed around the ice sculpture. These are some cool ideas that you can use while planning your wedding decorations. You will be amazed at their effectiveness and their ability to save you money. Whether it is something as intricate as an ice sculpture or something fun-filled like a chocolate fountain, you can be certain that these ideas will make your wedding a memorable one.